There are some books available to flip through on Blurb (which offers acceptable quality at almost acceptable prices). Real book publishing is not for the faint-hearted and present day print-on-demand books, such as Blurb, are better than no books. ‘Deeper in the Forest‘ is a dip-in-when-you-feel-like-it book with some accompanying text. All the shots were taken in the same forest in Sweden. It started out as a loose look at how people might have experienced what they encountered in the forest many years ago before TV and other influences but fortunately ended up somewhere else. ‘Winter Waterfront’ is about the odd imagery that can be found on winter nights by a river in a city. No additional lighting was used; I just used long exposures. It was cold but it was fun. ‘Valencia’ is an appreciative view of the visual offerings in one street in San Francisco one sunny day. Sometimes, some places grab you, sometimes they don’t. ‘West’ contains images from the west coast of Sweden with no particular theme except images from the west coast of Sweden. 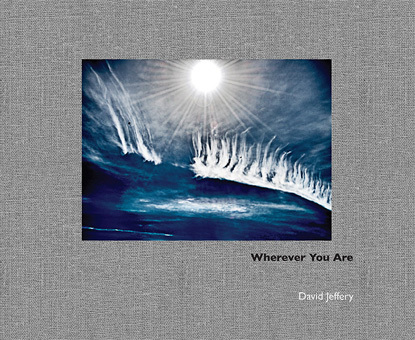 ‘Wherever You Are’ (unpublished) is a collection of around eighty images that are bundled in together with a handful of ‘texts’ to form separate ‘chapters’. All images are from a very small island that is uninhabited except for the warmer season. It takes only a half hour to saunter around the perimeter making it a perfect car-free (maybe even ‘carefree’) escape from a stressful world if you feel you can’t face anything more serious that day. There is nothing special about the island, it’s just an ordinary patch of land surrounded by water. There is nothing special about the text, just a collection of words. There is nothing special about the photographs either, just an odd collection too. That’s almost the point. So it’s not a ‘photography’ book in the normal sense, if that even matters. It’s simply a presentation of snippets, findings, impressions and observations. The text is fictional, and in some senses, the images are too. It asks the reader to take or make from it what they will, wherever they are.